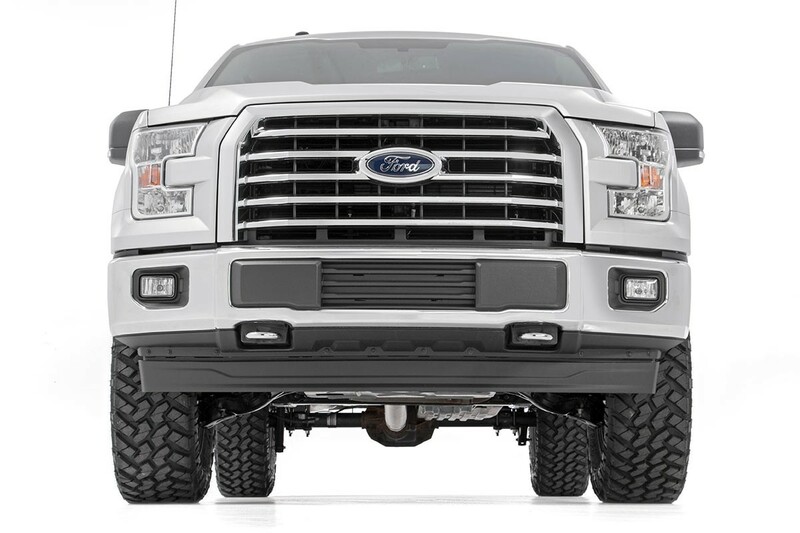 Rough Country's 3in Bolt-On Kit offers easy installation and aggressive good looks at an incredible value. 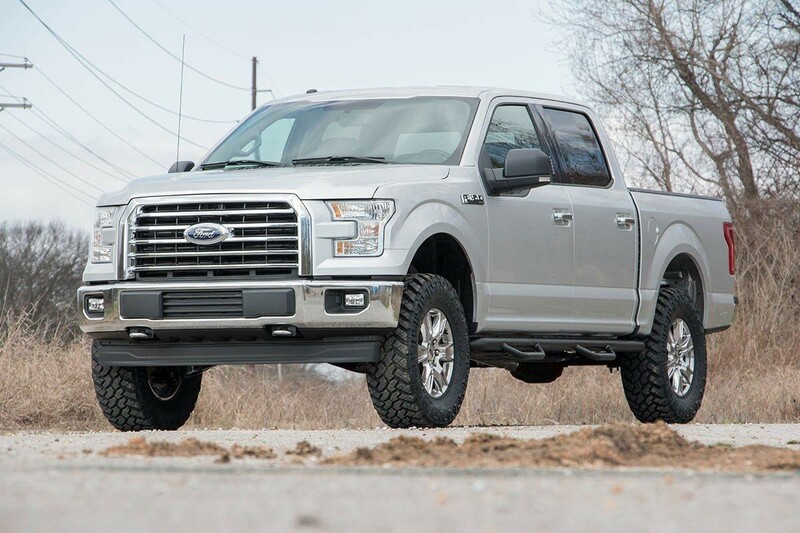 Take your truck to new heights with this excellent option for 14 and up F-150 pickups. 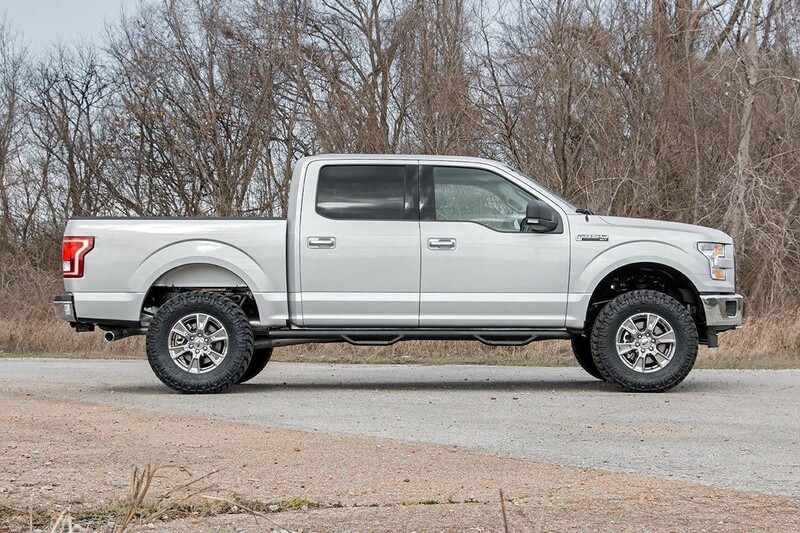 Rough Country’s 3-inch Bolt-On Kit features N3 Lifted Struts and N3 Nitrogen-charged shocks, giving your truck incredible ride-quality both on and off-road. 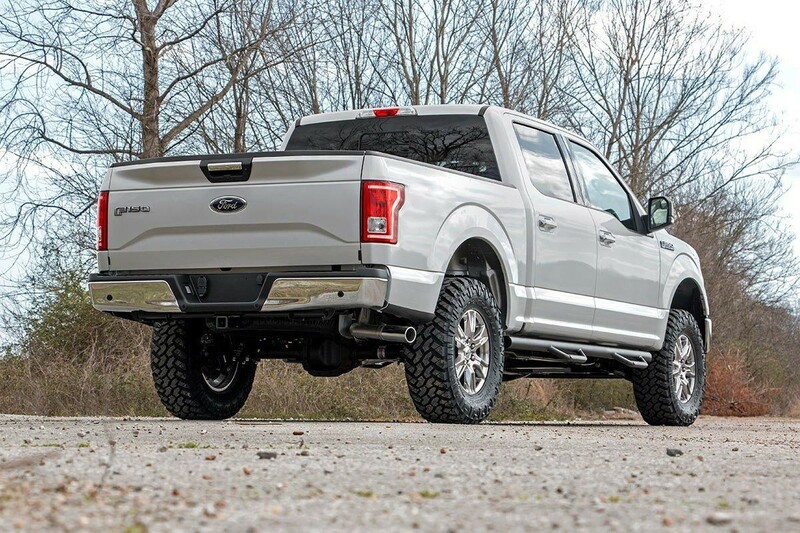 Also included are a set of fabricated rear blocks to provide lift height in the rear. 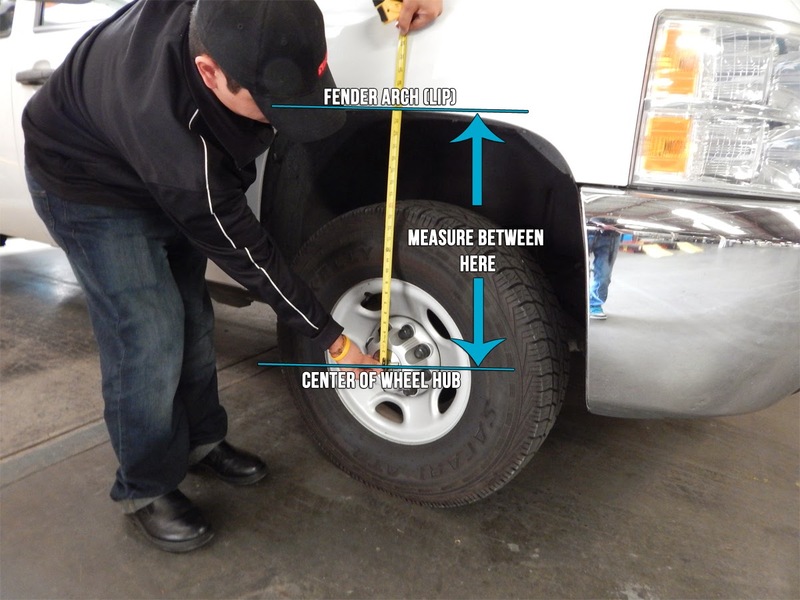 Once installed, this kit gives your truck plenty of ride height for up to 34in tires while offering a clean, level look from front to rear. 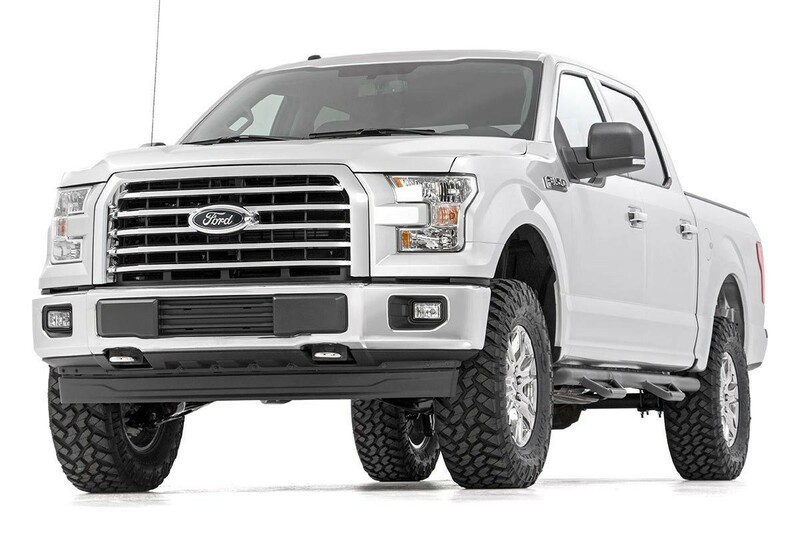 Retain your stock wheels with this kit when you use Rough Country’s 0.25-inch wheel spacer. Retain your factory wheels by using our 0.25-inch wheel spacers [SKU: 1065]. 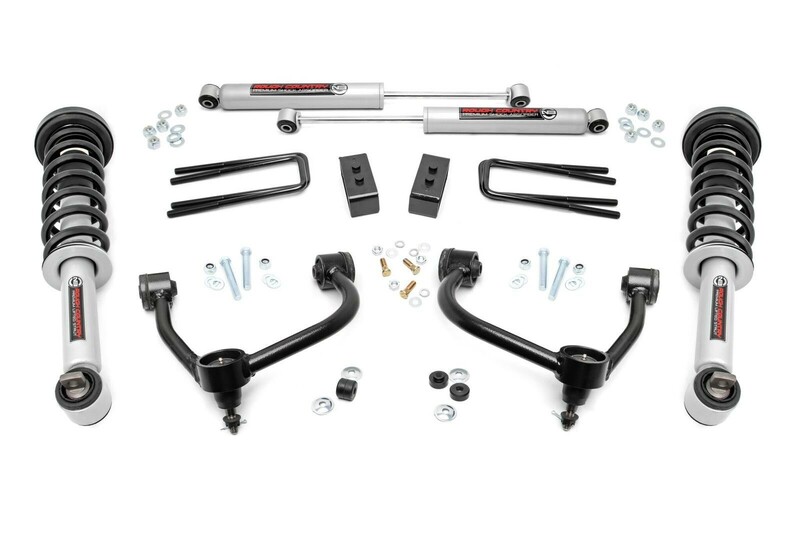 Trucks with FX4, Snow Prep, and other off-road packages that modify front strut assemblies will likely measure over 22in and will not work with this kit.